HOT ROD ALERT!!! This is not your average Mustang! 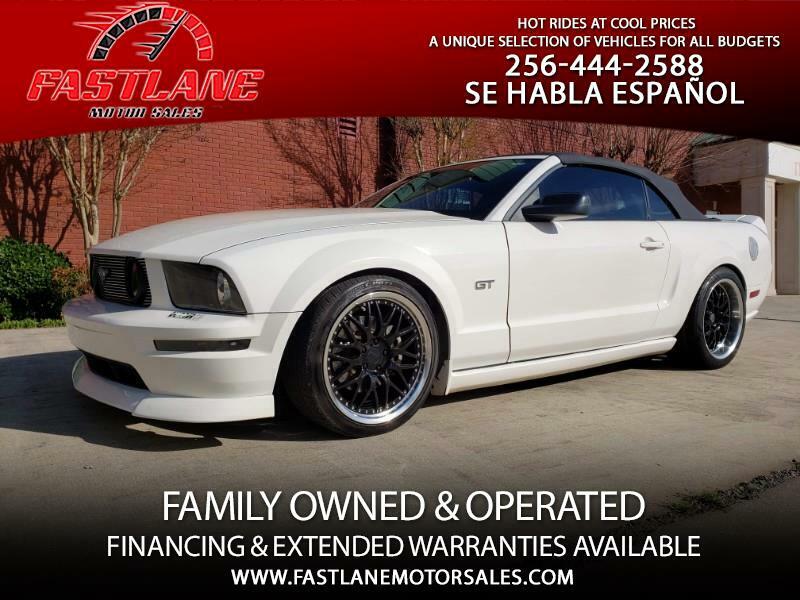 This GT was previously owned by a Ford Master Tech… A true Mustang enthusiast! He put his employee discount to use and went all in at the parts department on most all the factory available “Ford Racing” Performance parts! The most noticeable upgrade is the super sweet set of “Hot Rod” Cams installed that makes this GT sound unlike any other one you see. This baby THUMPS! The Cams were carefully designed to give the 3V 4.6L V8 that infamous classic Hot Rod Muscle Car Sound. Ford Racing Shorty Headers! FR Exhaust with X pipe and Turn downs in the rear! FR Intake with heat shield box! Upgraded Shocks with lowering springs. Looks Amazing and rides great! SVE staggered 19” Wheels! 235/40 Front & 275/40 Rear. Three-piece spoiler and Front lip! Aftermarket Tail light filler panel! Billet Grill & Custom mechanical Pony emblem! Tinted Windows! OEM Bullitt Shift Knob! Billet shifter trim & cup holder trim! Roll/Styling Bar Installed! This stunning drop top convertible GT is a Beauty to look at and a blast to drive! The Convertible top is brand spanking NEW! We just had it professionally replaced, Rest easy knowing there are no leaks and won’t have any for a long time. Mileage on this beauty/beast is low for the year Model at only 119K miles! Like what you see? Just not in the market to buy right now... Please share this post, so a friend or family member can possibly find their dream car from our well stocked unique selection of vehicles. We have what many others don’t! If you are tired of looking at the same vehicles at every dealership and want something different then check us out! This GT is priced at $10,450.